Filipinos are no doubt active netizens'. We utilize almost all social media platforms there is, day in and day out and use the internet in our daily activities so much as if it is a basic need. We are not the selfie capital of the world for nothing, but that is beside the point. 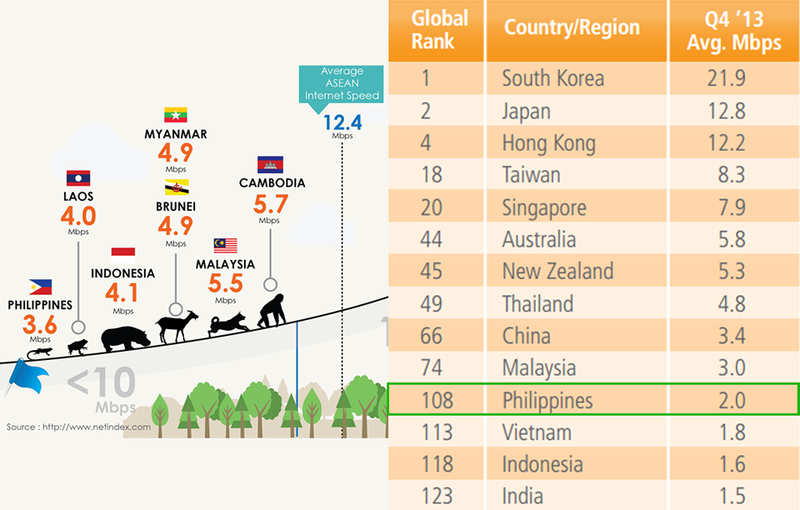 Despite the Philippine's active presence on the world wide web, it is sad to know that we are at the bottom of list in terms of internet speed among our Southeast Asian neighbors. However, as talks about this concern in the senate have been initiated by Sen. Bam Aquino, we might just have the good news at the end of the tunnel. Recently, Globe Telecom asks PLDT to make good its claim of supporting IP peering by connecting to Philippine Open Internet Exchange (PHOpenIX), the only internet exchange facility operated by a neutral organization, in this case, the government. Globe Telecom currently has a 10Gbps port with Vitro Internet Exchange (VIX), which is hosted by PLDT. However, Globe does not have any Internet traffic to any PLDT subscribers through VIX but only with other ISPs. “We are open anytime to peer with PLDT, as this will enhance both our customers’ web experience", a Globe representative said. Contrary to PLDT’s opposition to IP peering in the past, Globe Telecom strongly supports the NTC’s position that a mandatory IP peering among carriers should be put in place to improve internet services in the country. It is emphasized that an effective and reliable IP peering policy would greatly improve internet speeds in the country as it would give local ISPs like Globe a direct route to access local content for faster data interchange. Facts show that around 15% to 30% of all internet traffic in the Philippines is domestic. This means that domestic traffic originates in the Philippines and terminates in the Philippines. The origin and destination may be as far away as across the country or as close as across the street from each other.